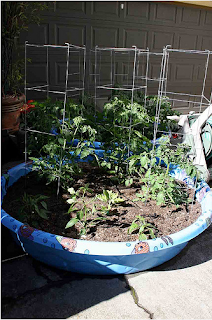 As the end of summer approaches many of you may have kiddie pools laying around. 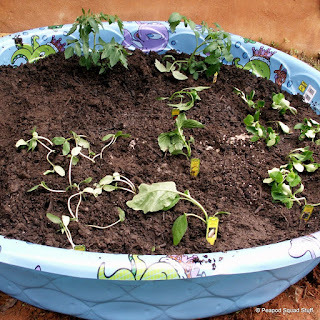 One great idea is to turn that pool into a garden for the upcoming year. I first heard about this idea from a friend whose husband is serving in the Middle East and she and her three kiddos went too. Her grocery shopping stories are fascinating; but because of some of the issues she started her own little garden on her concrete patio. She found a kiddie pool and filled it with dirt. What a great idea!